Professionally done logos are a crucial part of your brand image. They speak volumes about your organization, and in most cases, are quite easily tied to your brand. Thus, due to their inherent nature, professional logos need to stand out and be memorable. Whether you're just setting up your casino or looking into the possibility of rebranding, it is worthwhile to do a little experimentation with logo design or hire a seasoned logo designer to work on what is most fitting for your business. Though, you need to make sure that your hired talent has enough "design chops" to make this a reality. It's noteworthy to mention that you need to be clear and very direct about what you want the logo to communicate to your customer base. Since you're in the casino and gambling business, you want an attention-grabbing logo that really stands out but isn't too preposterous or gaudy. This is the sort of logo design which will help you promote your business in a professional manner and yet help you attract customers to give into their betting moods. Current customers as well as prospects typically associate your casino brand with the logo – a great logo has the potential to draw in a lot of business. Therefore, hiring a skilled logo designer can really mean the difference between just good and great business. 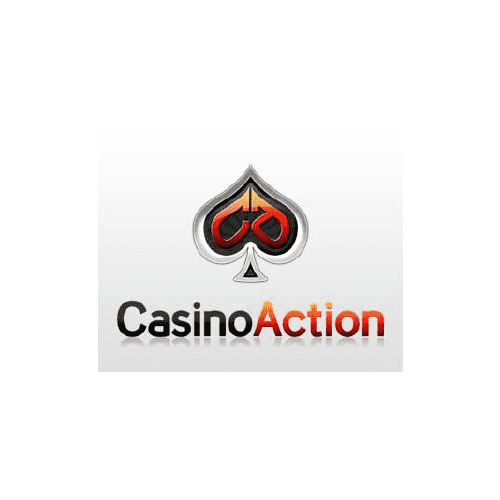 A good way to start off is by looking at a range of logos to find one which is fitting for your casino and gambling brand. Once you have found an ideal match, get hold of logo designer who can fulfill your vision. A great logo design, after all, isn't something you should be careless about. In order to give you a better idea of the intricacies involved in casino logo design, let's take a look at some popular and equally inspiring logo designs. Observe this perfect logo for a minute and you will realize that the pure black and red colors are a testament to sophistication while the white backdrop gives way to the text which stands out. This is complimented by a spade from a deck of cards. Simplicity coupled with a clever color choice makes it look very professional. Fact: cool lemonade, particularly in the scorching summer season, puts a smile on everybody's face! You must admit though, this logo has a nostalgic feel to it. You have a charming man all suited up, fancying a bottle of lemonade, reminiscent of "the old days". 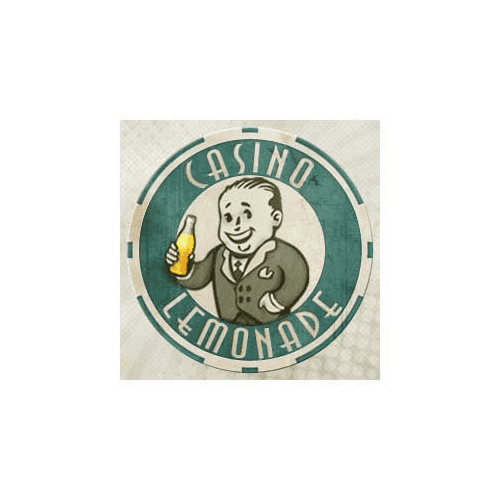 He resides within the casino chip and the logo yet again, sports a fairly basic color combo. Gazing at the logo, it does spark feelings of trust, doesn't it? Silver and black – too basic perhaps, but it does have an elegant feel to it. If you’re looking to gamble at a classy casino, it doesn’t take long to realize this brand offers just that, especially given the straightforward silver against a black backdrop. 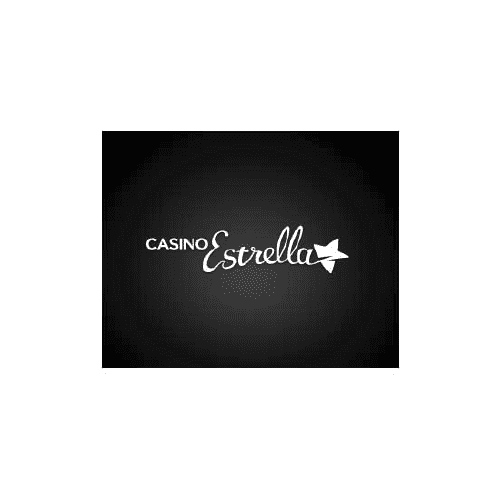 Observe the font closely; it is sleek and smooth which only pays homage to its professional feel and what the casino business has to offer. Sometimes foregoing bold and fancy is just what you need - in this case, a star at the end of the text, gives it much suaveness. 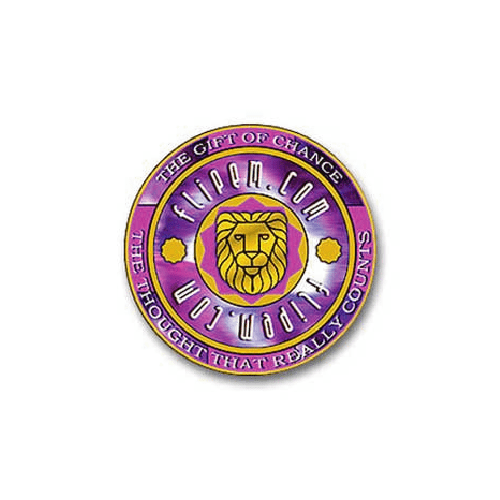 On the other end of the spectrum, you have designs that are not afraid to be bold, sporting a lion in the middle of a casino chip, with bright purple and gold colors. A tagline seems very fitting in this case: "The Gift of Chance". What's exciting in general about casinos and gambling is the element of luck that comes into play. Imagine you visit the casino as a casual player and might walk away with thousands, even millions – it would be a rather clever idea to have this very notion instilled in your customers’ minds with a visual. Once again, here is another design which borders on the edge of simplicity. 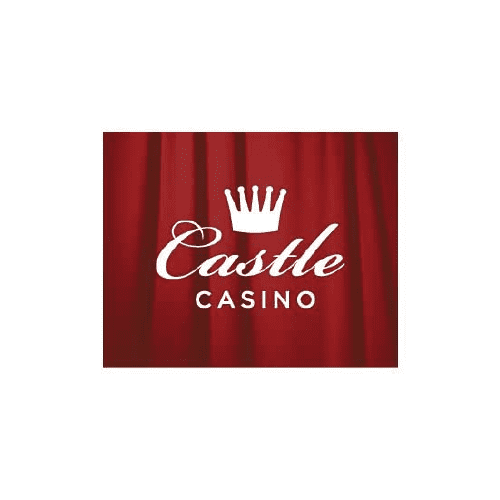 However, the most prominent feature which you’ll notice is the crown that sits atop the fonts and therefore gives you the impression that this brand is nothing but casino royalty. Fairly conservative font and coloring, the red and white speaks for itself - come and gamble like the King of the Castle! Because there are many well-known casinos today, most of which have gone mobile, it is essential that you design a logo which has the ability to grab instant attention. Even though the development of this logo may require a little extra time and effort, you will reap the benefits by increasing your profit and revenue. So make sure that you leave a good first impression on your visitors and convert them into loyal customers.